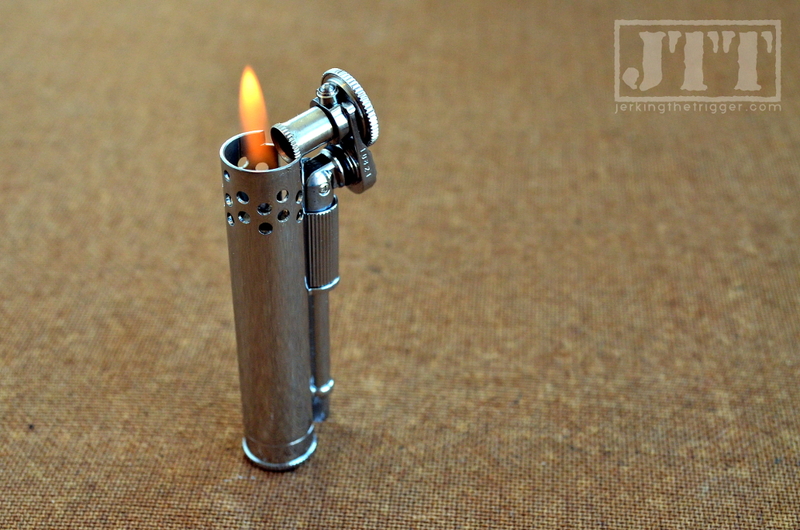 When it comes to lighters, will a cheap Bic lighter work? Yes, very well in fact. Will $20 Zippo work? Yup, they are an American classic for a reason. Sometimes you just want something classy, something you can be proud to own, something truly fine. 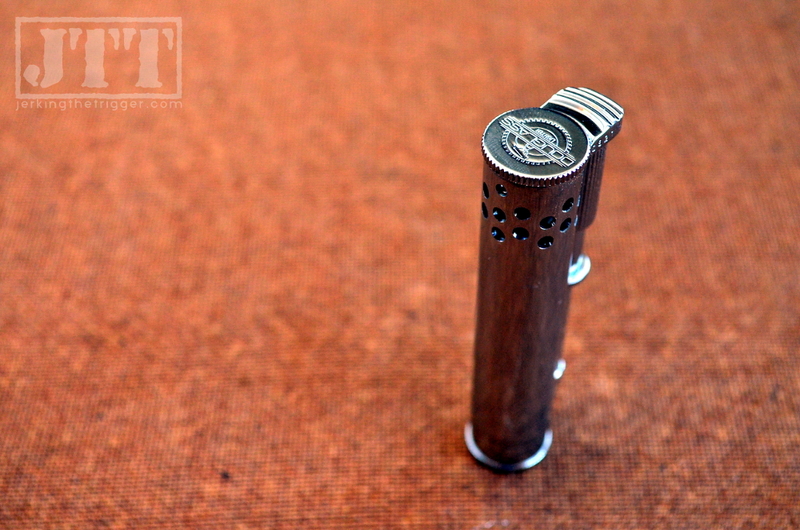 There are certainly less expensive lighters but sometimes you want something like the Field Lighter from Gearward. It is the classiest item in my EDC/survival kit. The Field Lighter comes in very nice box. This image also shows the protective collar in the locked position. The Field Lighter from Gearward is imported. It is made in Japan and available overseas. Gearward is the only importer to the USA that I know of. This lighter is very finely machined from solid brass and has a polished chrome finish. It has a reassuring heft to it but a subtle, watch-like, fine quality to it at the same time. 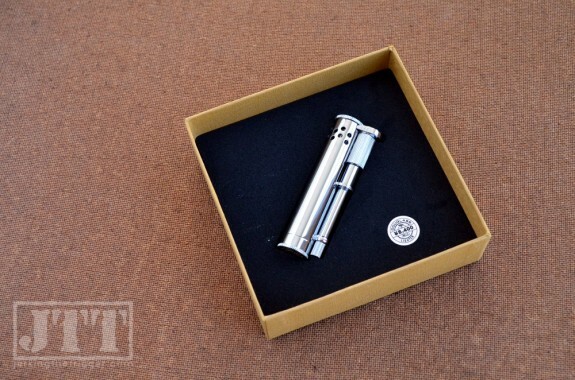 This lighter is crafted, not made but don’t think it is all show and no go. This lighter is actually fairly unique among lighter fluid fueled lighters in that it seals. 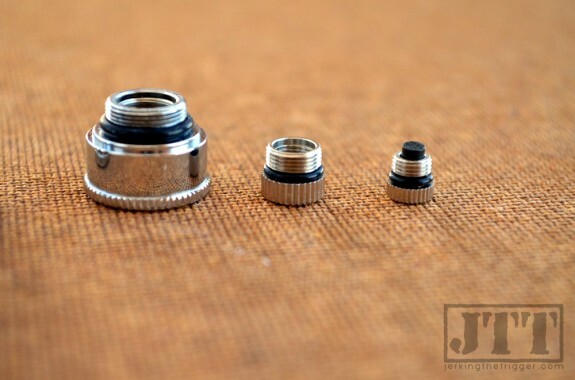 It has a threaded, o-ring sealed collar that makes the flint water-resistant and locks the cap in place. The extinguisher bell seals over the wick when it is in the closed position, making it water-resistant. When everything is locked down, the Field Lighter is water resistant enough to sit at the bottom of a sink full of water for 5 minutes and then be sparked on the first try after a quick shake. I know because I did just that. The fill cap on the bottom of the Field Light is like a tiny little doctoral thesis in fine machining. It is screwed into the body of the light and is o-ring sealed. 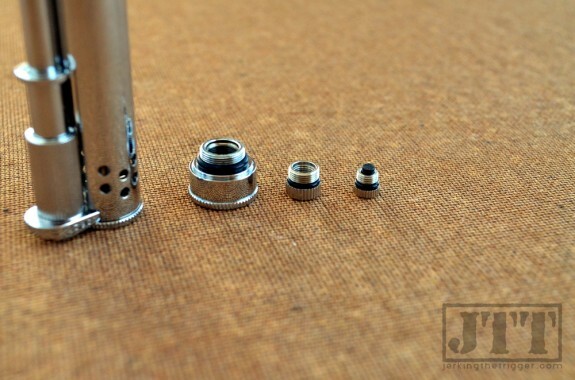 The fill cap has its own tiny o-ring sealed, threaded cap that contains a small emergency reservoir of lighter fluid. 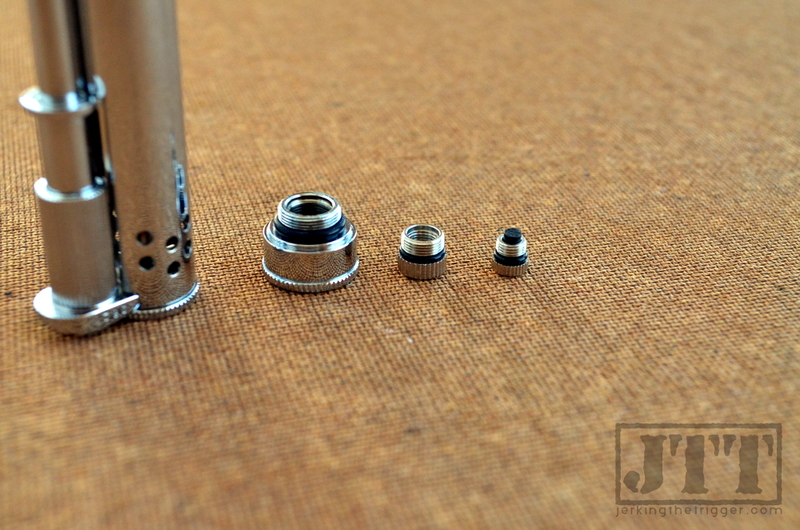 That small cap has an even smaller o-ring sealed, threaded cap that holds a spare flint (included). You should probably be dumbfounded right now because that is ridiculous in the best way something can be ridiculous. The fill cap contains two more threaded caps that contain spare fuel and a spare flint. This is a closer look at the caps. I think the best way to talk about how well this lighter performs is probably to compare it directly to something you all know well – the venerable Zippo. The Zippo has several things going for it over the Field Lighter. In my testing I noted that the Field Lighter is very wind resistant but it still falls short of the Zippo in this regard but most lighters do. The Field lighter handled windy days well enough but the Zippo really excels. The Zippo also has more commonly available spare parts. You can find flints and wicks in just about any drug store. The Zippo wicks should work fine for the Field Lighter but I don’t know of a widely available replacement for its oversized flints. It does come with a spare flint and Gearward will be selling them in the near future so stock up. That is where the Zippo’s advantages (other than price) end. The grooved collar is shown in the unlocked position which allows the Field Lighter to operate. When this collar is closed, it is air tight. The Field Lighter is more durable, more compact, easier to light (even with gloves), easier to fill, can be maintained without tools, has a more stable and usable flame, and most importantly for survival kit use, is far more water-resistant and more reliable. The water-resistance comment should make sense in light of what I have already said above. 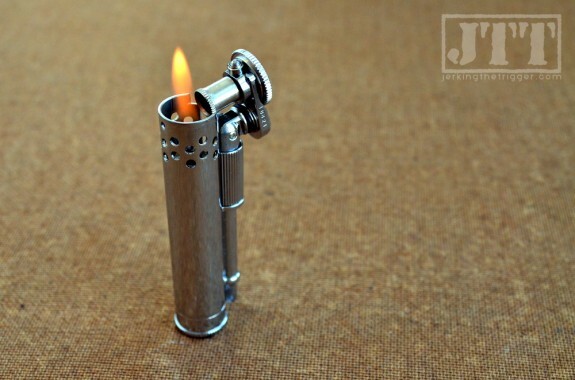 You can actually submerge this lighter and then use it immediately. The reliability comment will take some explaining because right now you are probably saying, “How could it be more reliable than a Zippo?” It is far more reliable thanks to the fact that its sealed design actually retains lighter fluid. Fluid will evaporate out of a Zippo in as little as a few days and as long as about 2 weeks. The Field Lighter is completely sealed and can hold its fluid for a year or more. In fact, even if you do forget to seal it up, it still takes several weeks for the fluid to evaporate thanks to the better seals. If you do find that the fluid has evaporated, you still have an onboard emergency reservoir that is sealed in behind two o-ring sealed caps. 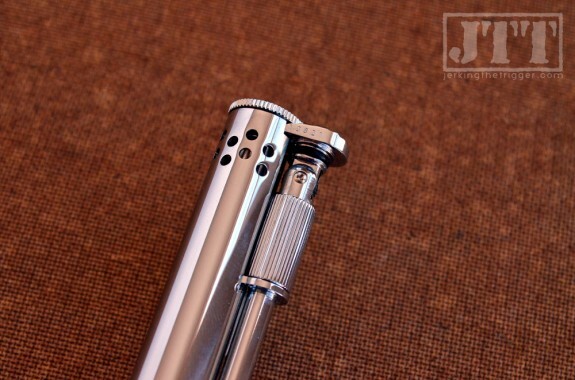 So, while the Field Lighter looks amazing and feels like functional art, you should not forget that it is functional. It would be a tremendous addition to a fire starting kit or EDC thanks to its ability to retain lighter fluid. I have never found the butane torch style lighters to be all that reliable while naphtha fueled lighters like the Field Lighter, Zippo, IMCO, and others are rock steady as long as they have fluid. Pressing down on the tab at the top of the Field Lighter flips the cover open and ignites the flame. Closing it snuffs the flame. It is true that the Field Lighter is expensive. It is also true that spare flints are not available currently but they will be soon. In spite of all that, I greatly prefer this to any lighter that I have tried. It is so robust, reliable, well-engineered, and finely made that it is not only extremely useful but also something to be desired. It is just plain cool. Check out the Field Lighter at Gearward.